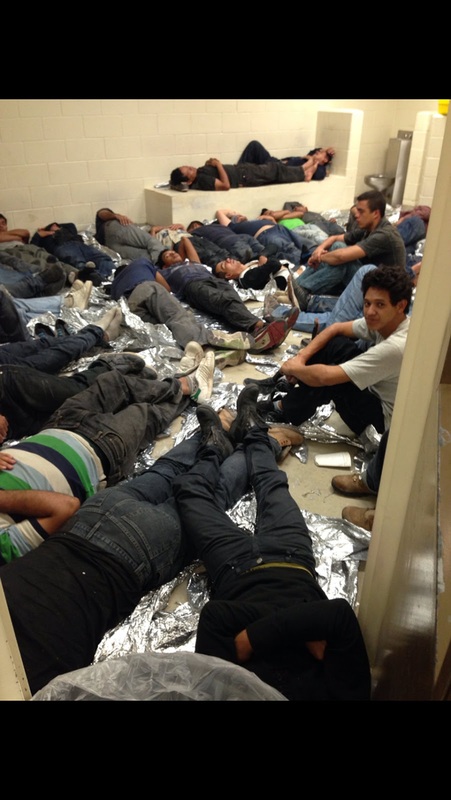 Added: Here are many more photos of Obama illegal alien facilities, Getty and Reuters images. Media didn't care about kids at that time. 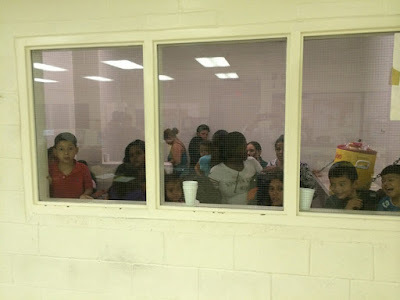 "A staggering crisis on the U.S.-Mexico border has left federal officials scrambling to provide basic human necessities to thousands of undocumented immigrants — most of the unaccompanied children— who have flowed over the divide. The office of U.S. Rep. Henry Cuellar (D-Texas), who represents the district including the southern border town of Laredo, provided Business Insider with photos showing just how bad the conditions are at one federal facility where some of these immigrants are being held. 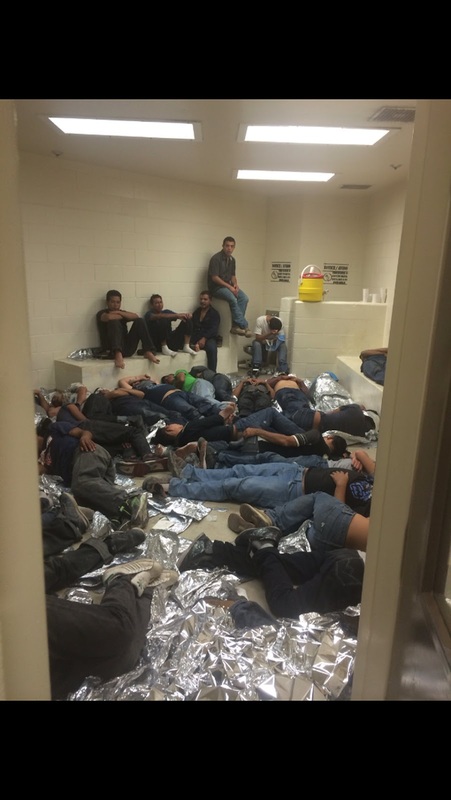 Cuellar's office said the photos were taken recently in a Customs and Border Protection facility in south Texas. 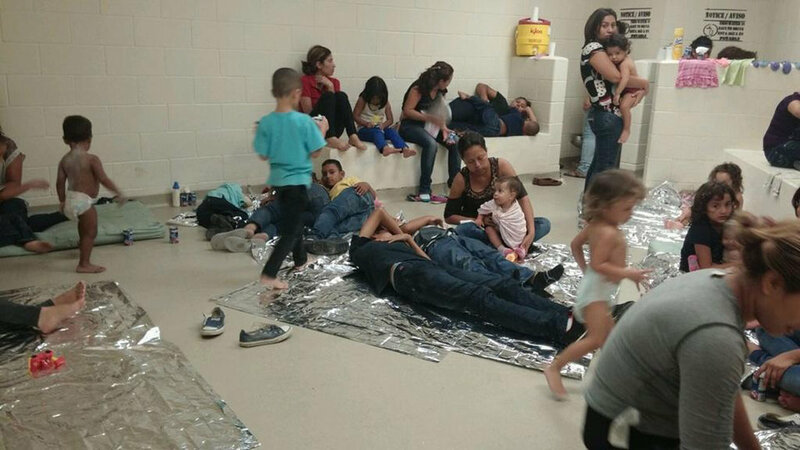 The congressman's office declined to identify the exact source or location of the photos to protect the source's identity. 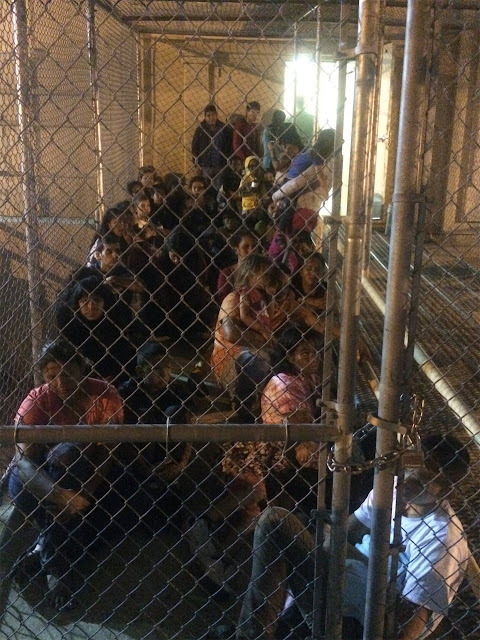 Overall, the pictures show some of the stark challenges facing immigrants as well as federal officials attempting to address the flood of people streaming over the border. 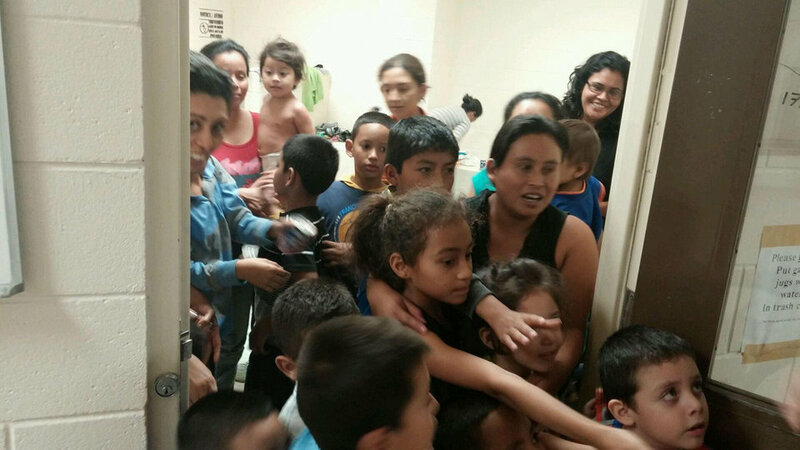 In many cases, the undocumented immigrants are crammed into rooms with nowhere to sleep or even sit. And in at least one case (the first photo below), one of the immigrants has rashes that Cuellar's office said were reported to be either scabies or chickenpox. 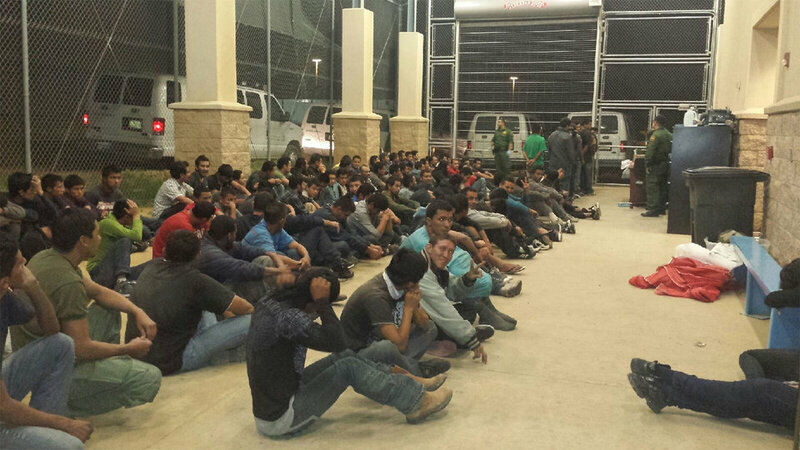 The situation is rapidly becoming a "humanitarian crisis," in the words of President Barack Obama. 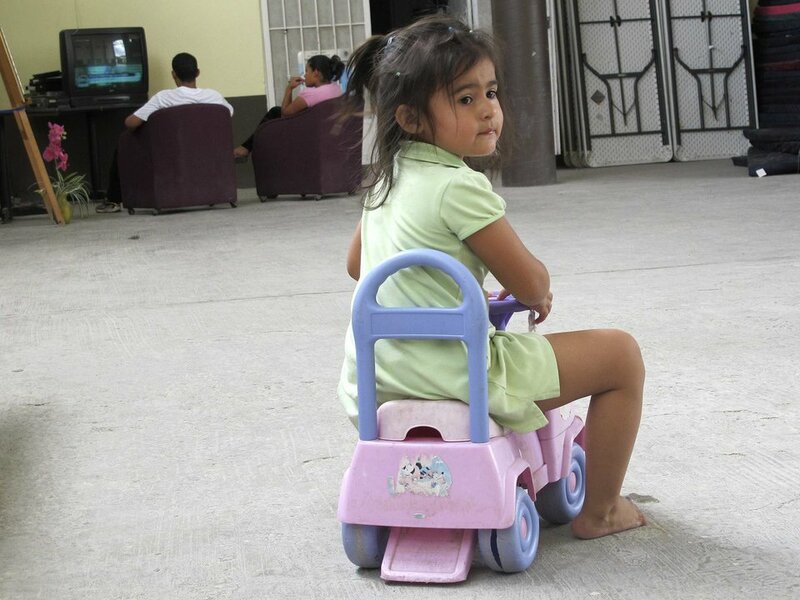 Every day, hundreds of children cross the border, mostly making their way from violence-stricken areas in Honduras, Guatemala, and El Salvador. 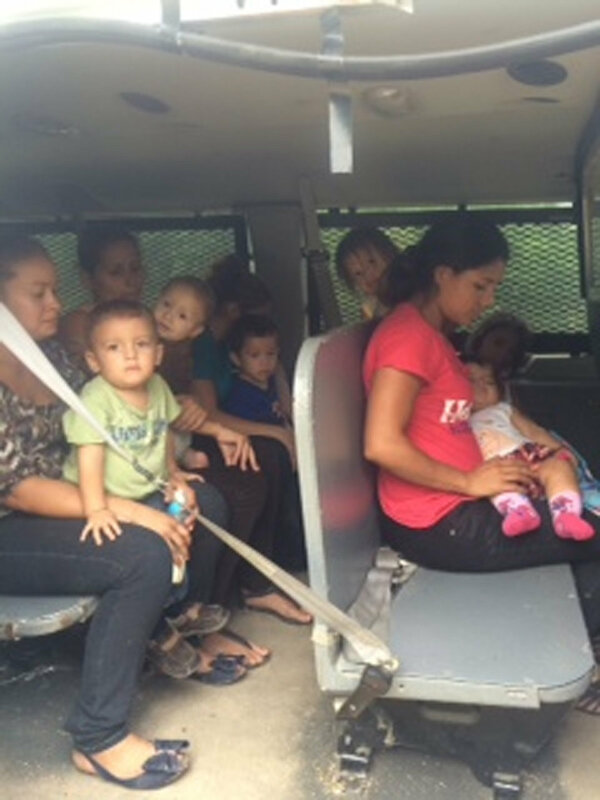 The causes for the influx are many, but a large portion are children fleeing increased drug and gang violence. 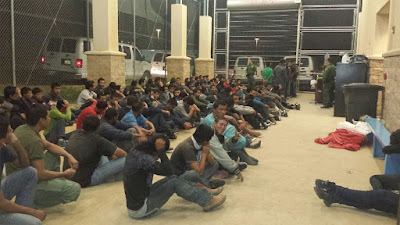 They have overwhelmed Border Patrol resources in the Rio Grande area, causing many migrants to be sent to processing facilities in Texas and Arizona. 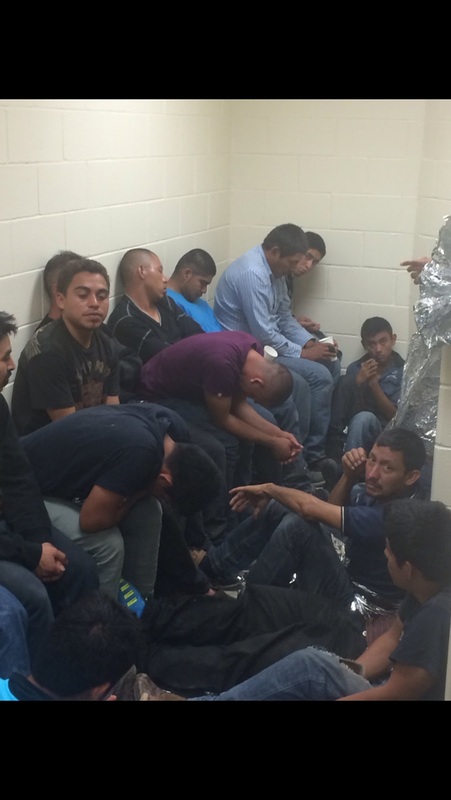 However, most of these detention facilities are not designed for long-term residency, which creates a nightmare situation for officials trying to relieve the backlog and, of course, for the immigrants who find themselves living in facilities like the one depicted in these photos. 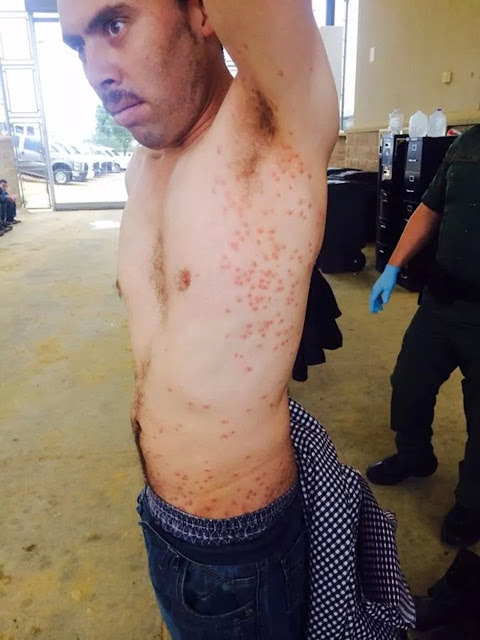 Several immigration reform advocacy organizations have lodged complaints with the Department of Homeland Security over Border Patrol agents' alleged mistreatment of the undocumented immigrants. Multiple Republican lawmakers, on the other hand, have blamed Obama's policies for attracting greater numbers of immigrants.